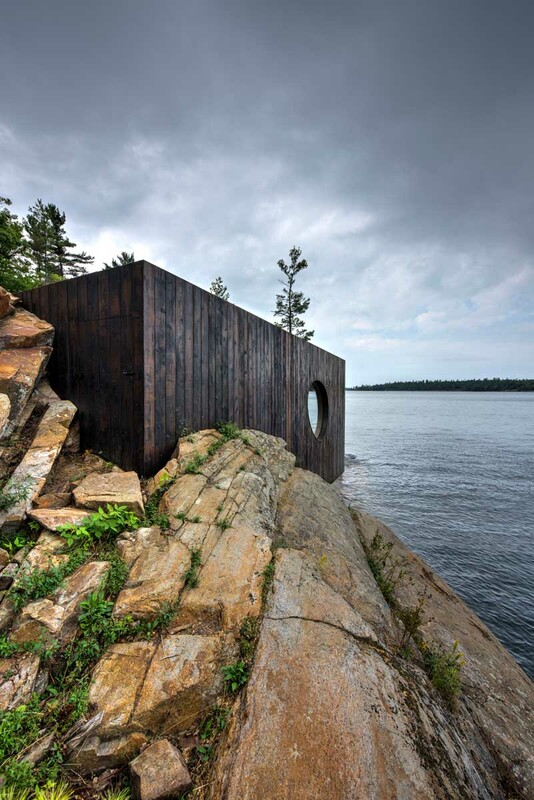 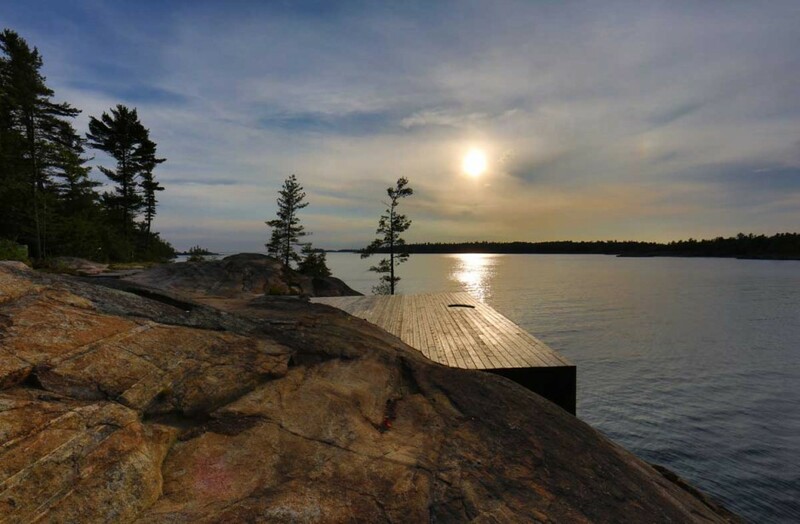 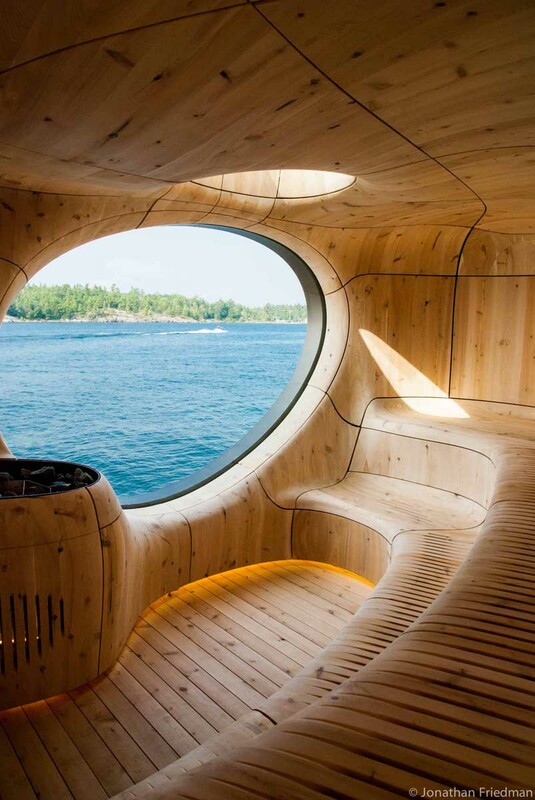 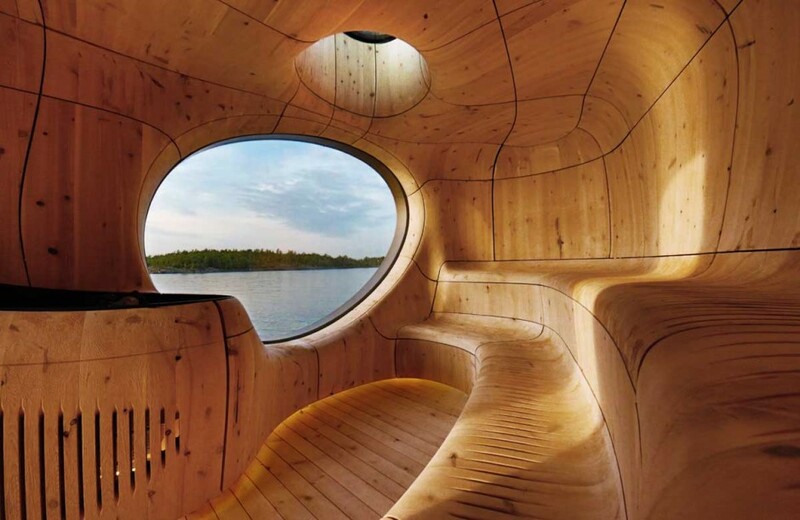 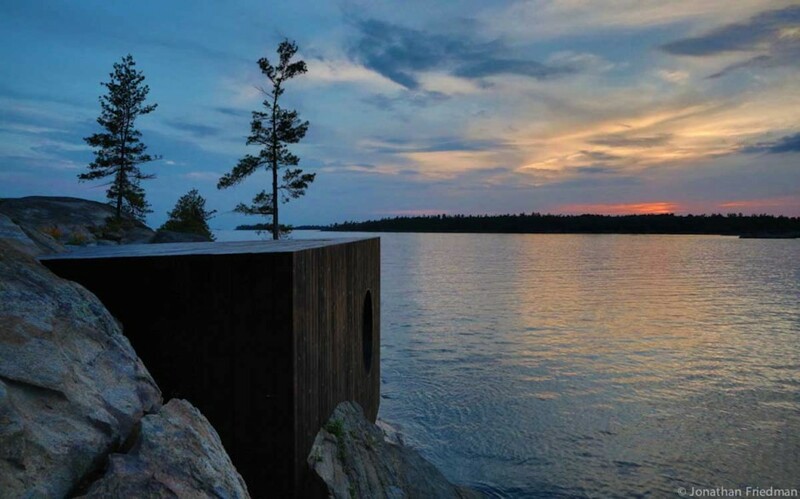 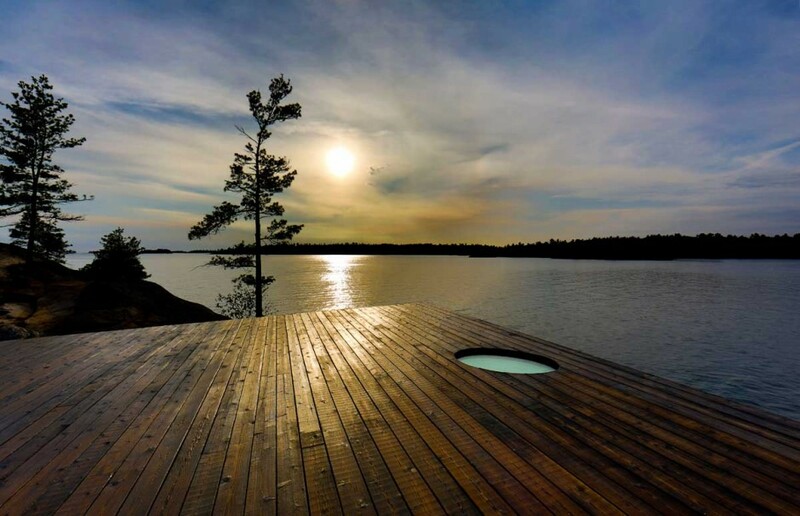 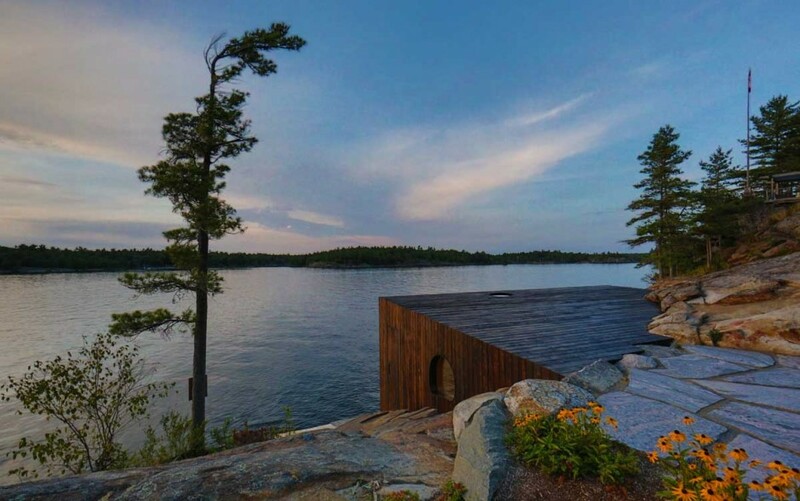 PARTISANS have designed Grotto, a sauna located on San Souci Island, in the Georgian Bay area of Ontario, Canada. 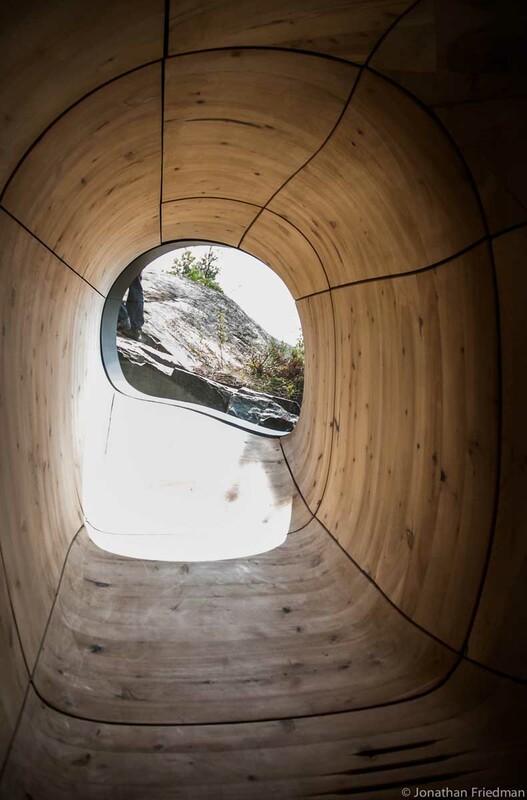 Grottos, historically, have been known as natural or artifi cial caves that are embedded deep behind the curvature of streams, and thus discovered by those who would take the time to explore. 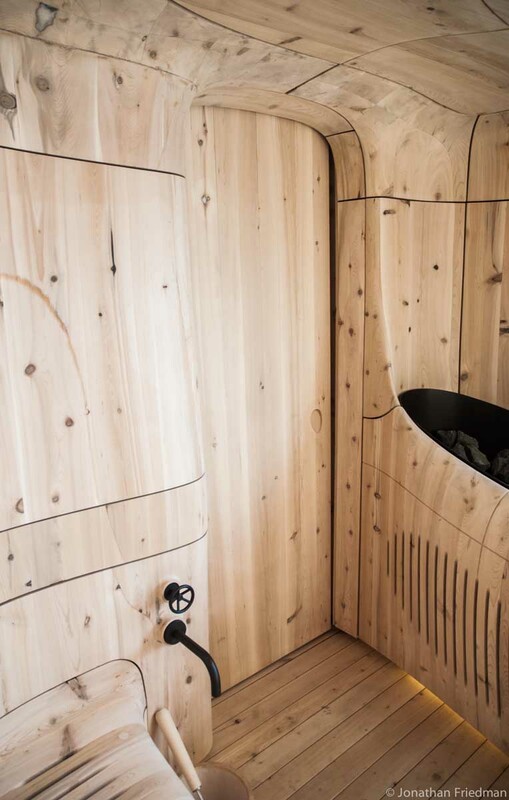 As a free-standing sauna, the Grotto uses two high performance ovens that ensure efficiency and control. 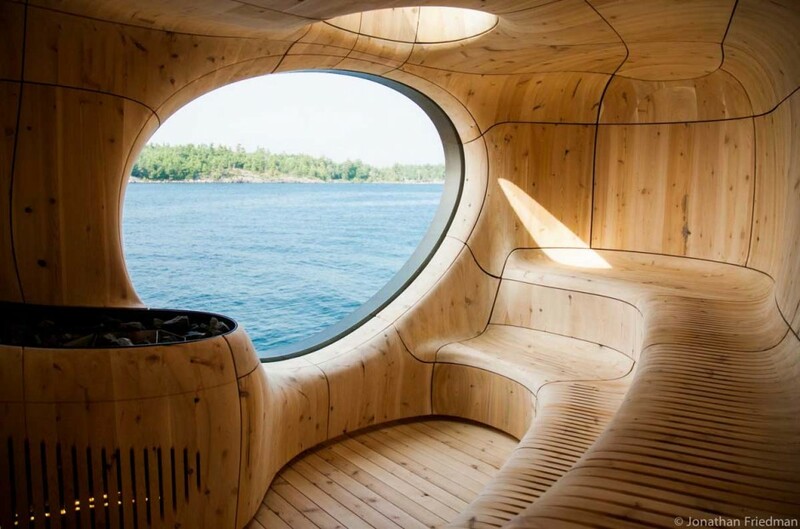 There are vents and fans in-place that allow the building to breathe seasonally and prevent rot or mold in the structure. 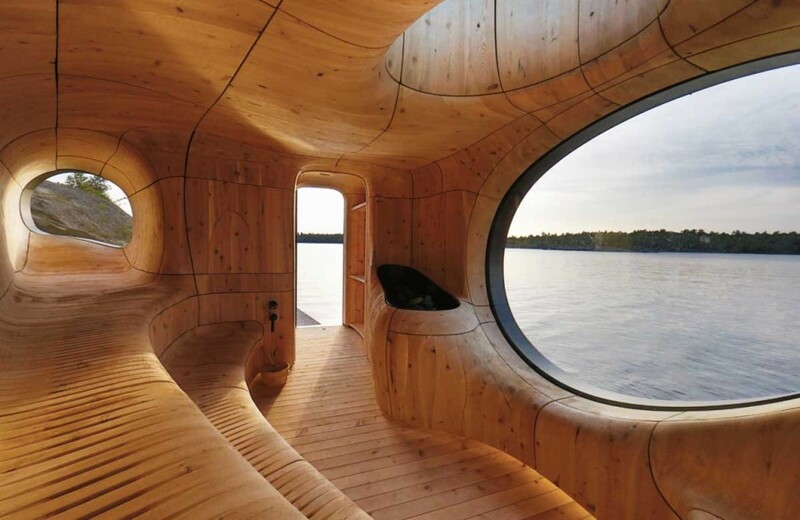 The rest of the systems were based on controlled air flow. 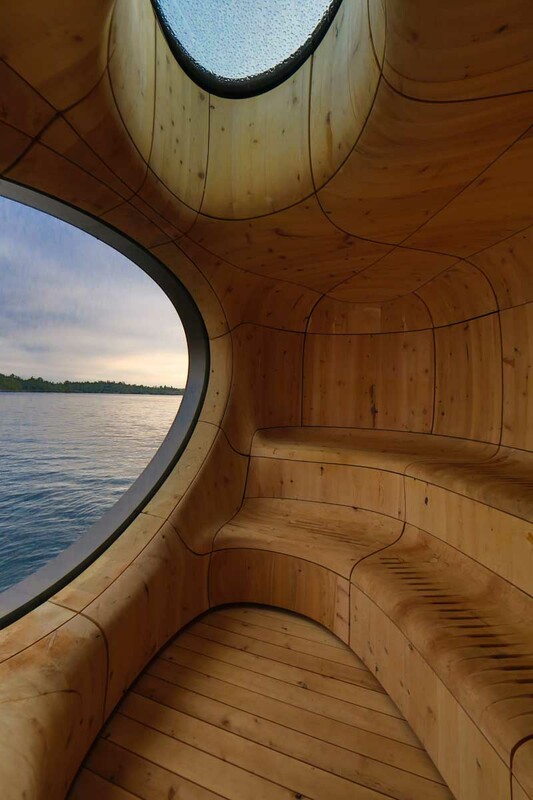 “We used insulation on the building to not only protect its components from heating up or cooling down too quickly, but also to make the Grotto more energy efficient. 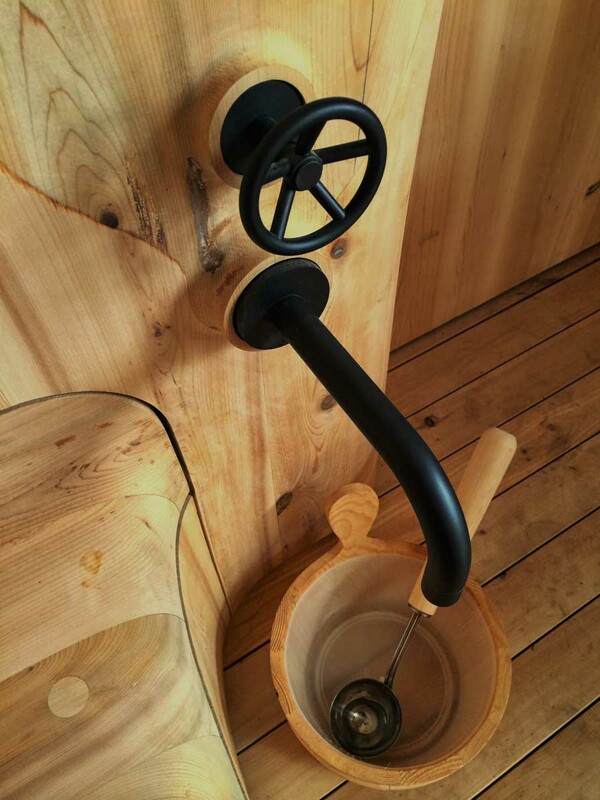 The specific type of wood, Cedar, was then selected based on a number of factors; such as resistance to rot, aroma, colour, local sources, and quality. 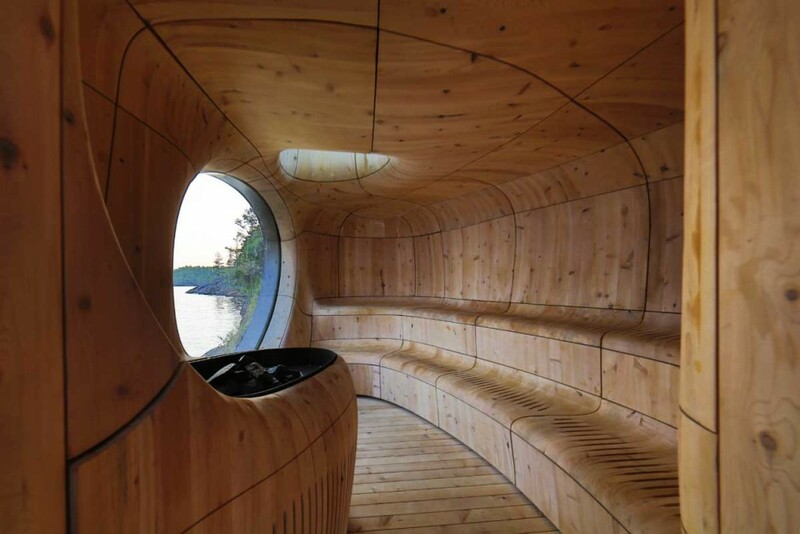 Furthermore, the internal structure of the Grotto was tightly sealed and a layer of energy efficient aluminum foil was adhered to all internal surfaces creating a convective air plenum between the internal wood panels and the space in which they were mounted. 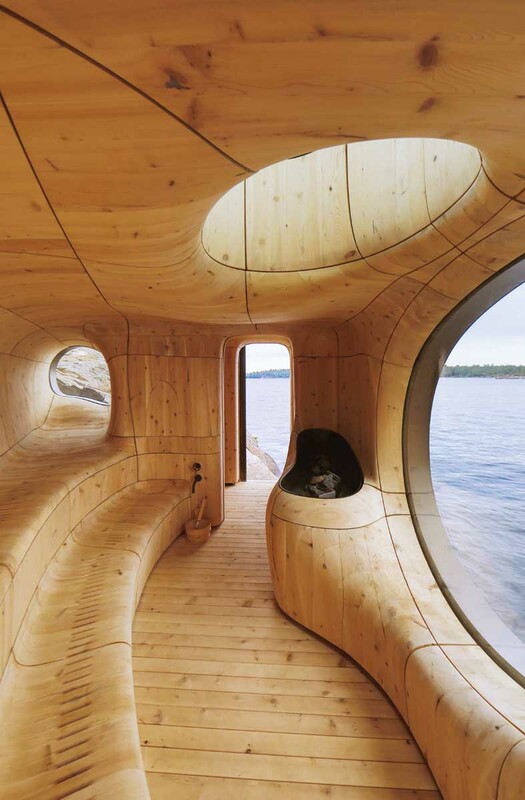 This allows for the wood to expand and contract evenly with even heat movement all around. 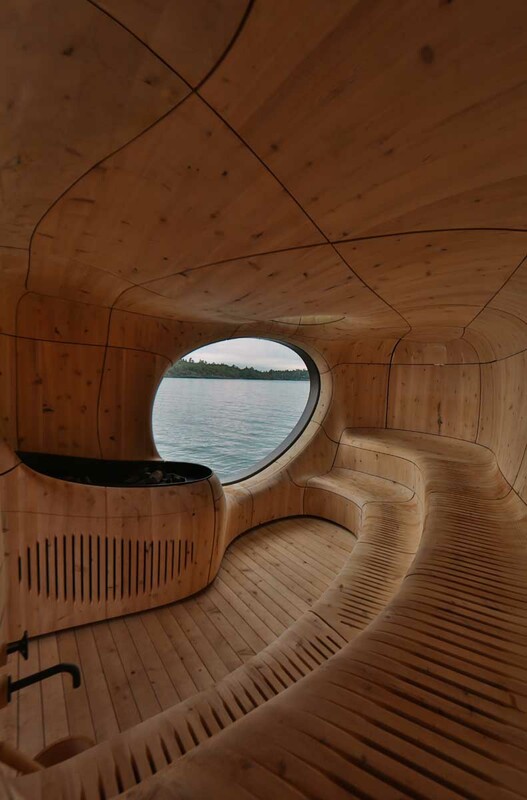 The space behind the wood panels created convection currents that allow the skin to breathe through the ventilation pores that were carved into seats and seams of the cedar panels. 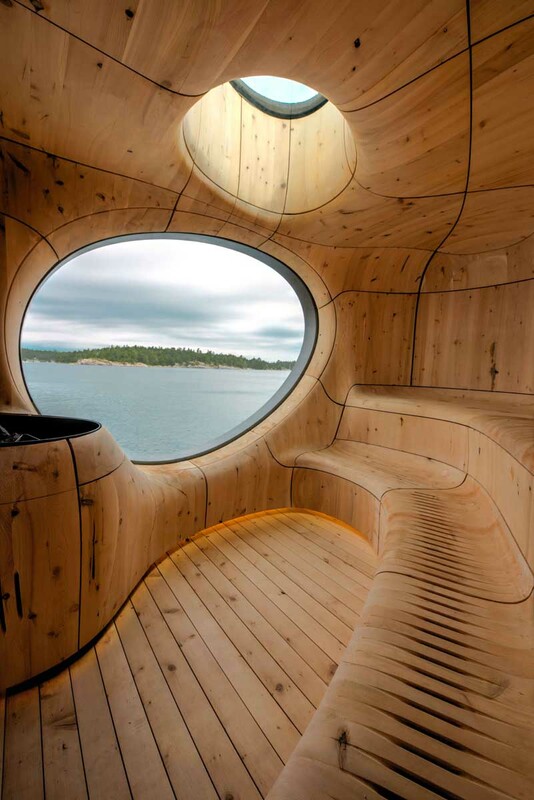 The result is a sculpted space, a sensual experience, and a sophisticated exercise in building science.” Photography by Jonathan Friedman and PARTISANS.